" We involve 700 joint personnel to conduct Lintas Jaya 2019 Operation"
"This operation is also done to minimize traffic accident," he stated after symbolically pin the ribbon to the representative officers from Dishub, TNI and Police. "I am optimistic, all officers could give their best in improving road users' compliance. I want you to be persuasive, polite, take humanistic approach, and respect their rights thus vehicle operation could run well for both sides," he mentioned. 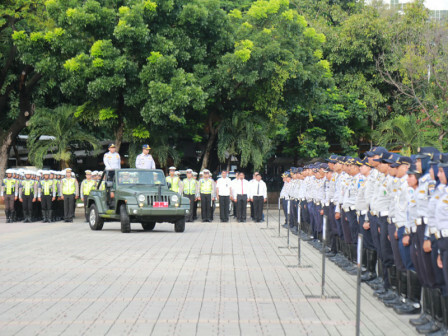 "We involve 700 join t personnel to conduct Lintas Jaya 2019 Operation," he stated.